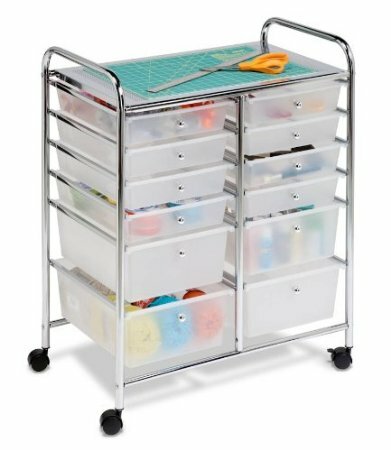 If you love crafts, but have a small space or simply want something affordable to keep all your bits and pieces in, then a mobile cart with lots of storage room would work well. 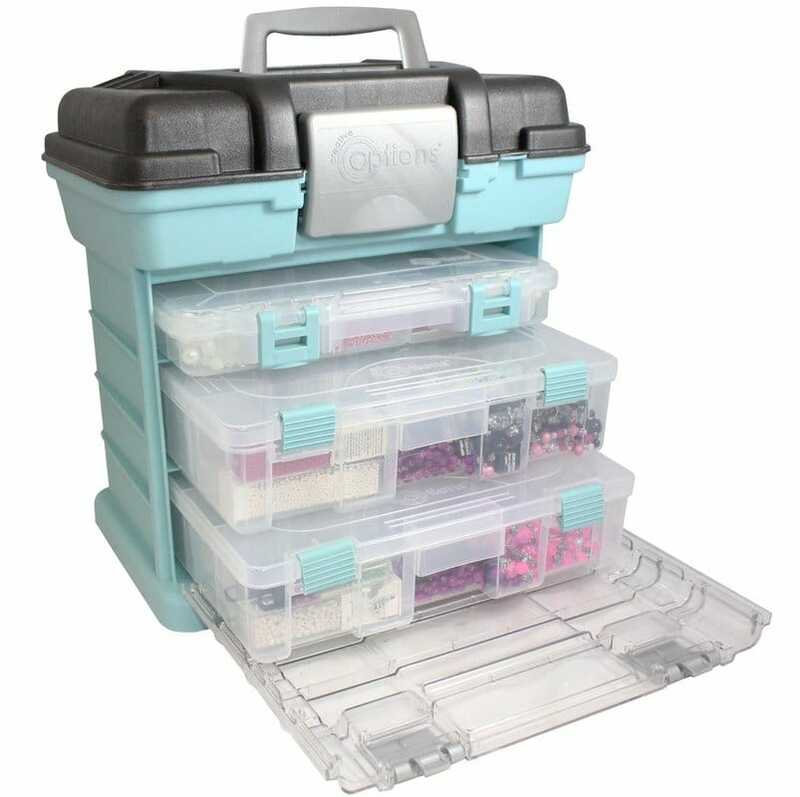 I have one of these, and it is amazing just how many craft supplies you can store in here. There are enough drawers of different sizes to house even bulky supplies and it also has a great work surface. This would work really well for scrapbooking, painting and other arts and craft projects. It is easy to clean up and if you have to use the same space as the rest of the household then you can simply move it from room to room. It has really smooth gliding casters that will lock to stop it from moving when you are working on your crafts. If you would prefer something more permanent and have the room then you can also check out craft storage furniture for more ideas. Depending on the type of craft you work on, you can use this rolling tote style craft room just about anywhere. 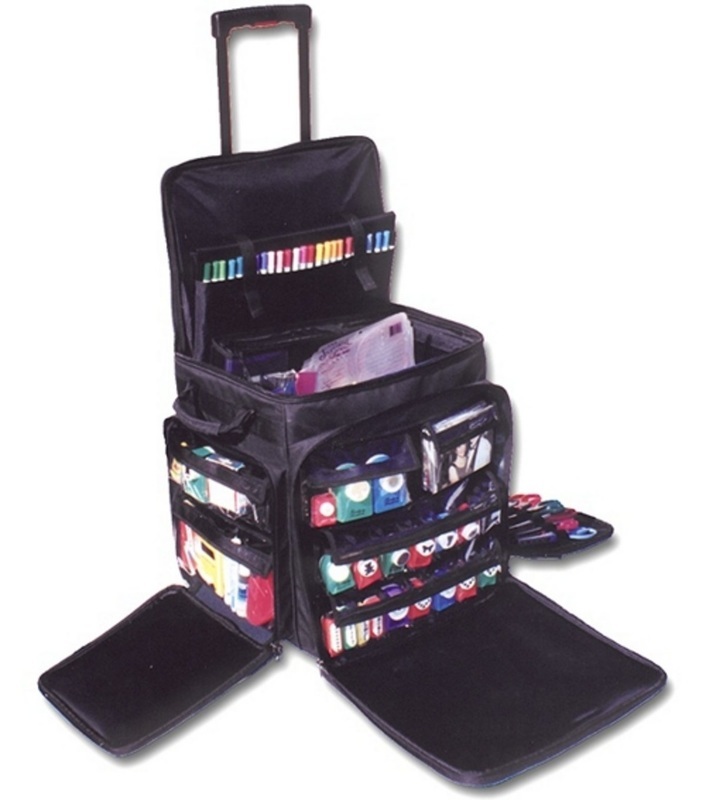 If you don't have the space at home for your arts and crafts, then keeping everything in this tote on wheels can make it easier to work on your craft anywhere and anytime. 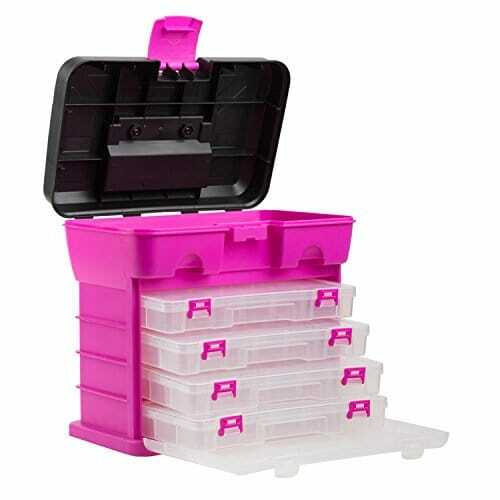 This really convenient round case holds loads of supplies, especially the smaller items such as beads and embellishments. Everything stays organized. Compact hanging organizer is perfect for the smaller space. You can take advantage of vertical space and house a lot of supplies in these pockets and simply hang them in a closet or on hooks on the wall for easy access. You can also take this out to classes, or a friends house or if you want to work on your hobby while on vacation. Everything can be kept I this extra large storage tote. You will never have to go looking for your supplies as they will be on hand here. If you use a lot of paints, there is storage for them as well as most supplies. If you presently have everything all over the place or the house and get frustrated looking for your supplies, then having one of these totes will make it easier especially if you do not have a dedicated craft space.